Just a short drive from Pittsburgh, Westmoreland County is home to gradual rolling hills, beautiful scenery, and exciting attractions, including Idlewild & SoakZone, voted Best Children’s Park for seven years running, and the Duncan House, one of only six Frank Lloyd Wright homes available for overnight rentals. 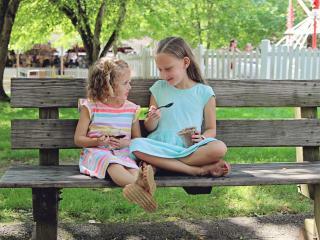 Founded in 1773, Westmoreland County is brimming with history, delightful dining, creative craft breweries, boutique shops, expansive wineries and farms, and unique museums, including The Westmoreland Museum of American Art. The county is also home to the steepest ski slope in the state at the newly reopened Laurel Mountain ski area. Golf where the late, great legend learned the sport. “The King” himself left his mark on his hometown, Latrobe, and golfed many of the courses in the area. Take advantage of the stay-and-play package at SpringHill Suites by Marriott Pittsburgh-Latrobe, with special access to Arnold Palmer&apos;s Latrobe Country Club. Welcome to Mr. Rogers’ Neighborhood, Latrobe, PA. His timeless legacy lives on today with Daniel Tiger’s Neighborhood, a show inspired by Rogers’ original program. Daniel Tiger and friends invite you to Idlewild & SoakZone to ride the trolley through the neighborhood. 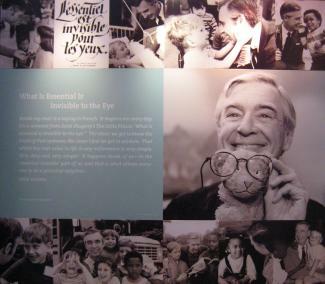 Nostalgic Fred Rogers viewers can tour an exhibit in his honor in the Fred Rogers Center at Saint Vincent College. See the statue of him in downtown Latrobe. 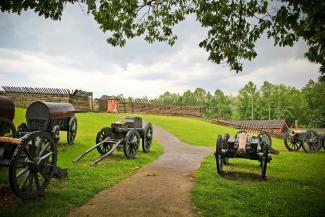 Explore the historic site where British and Native American forces clashed in 1763. You’ll find interactive exhibits, interpretive programs, and educational events at the visitors center. The original seat of Westmoreland County, Historic Hanna’s Town hosted the first English courts west of the Allegheny Mountains. The reconstructed village now includes the tavern/courthouse, vintage log houses, a Revolutionary War fort, and more. 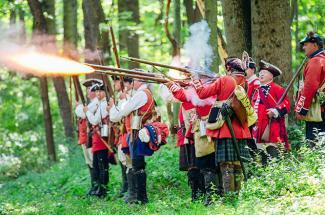 Step into history at Fort Ligonier, a reconstructed French and Indian War fort, with artillery, cannons, wagons, and more. Explore the museum, featuring George Washington’s original saddle pistols and memoirs along with more than 200 18th century objects. Voted Best Children’s Park in the world for seven years in a row, Idlewild & SoakZone has been entertaining families for generations. Explore and visit with your favorite nursery rhyme and fairytale characters in Story Book Forest featuring the New Enchanted Castle, home of Princess Lily. 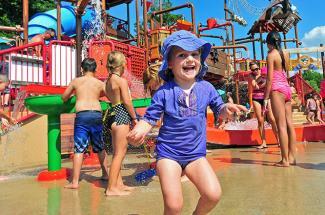 Splash into summer and beat the heat at the SoakZone, with aquatic adventures for children of all ages. Take trolley ride through Daniel Tiger’s Neighborhood. Dress up for Idlewild’s HALLOWBOO! with Halloween treats for the whole family. 2016 marked the grand reopening of the iconic skier’s mountain, Laurel Mountain, home to the state’s highest vertical drop at 761 feet. Don’t miss this classic ski destination in its first operating year for more than a decade. The Westmoreland Museum of American Art presents artwork that captures the region’s rich agrarian and industrial past. 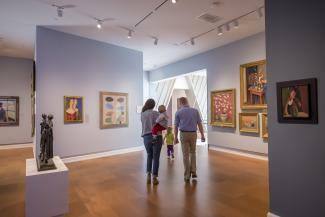 The newly renovated museum features a dramatic cantilevered wing and houses more than 3,400 objects of fine and decorative American art with additional rotating exhibits. 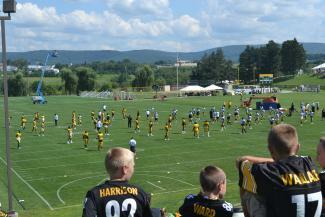 Cheer on the team at Steelers Training Camp! Steelers Nation has gathered at Saint Vincent College in Latrobe for more than 50 years. Get up-close with your favorite players. Kids can have their own taste of training camp at The Steelers Experience, simulated practice sessions and games for young fans. Watch the team prepare for an exciting season!